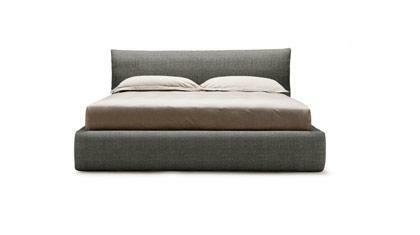 You can have your Summer A bed custom made. Shop online or in the Berto showrooms. Our interior designers are at your complete disposal to assist you in customizing your bed in any aspect. 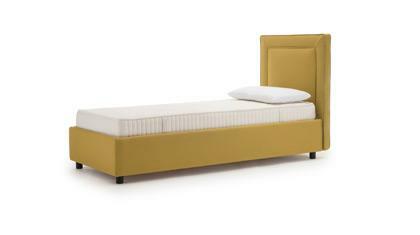 Summer is a new collection of Berto beds, created to satisfy your need for rest. From children's rooms, to the guest room, and finally the master bedroom the new Berto bedroom collection is always custom made. The new "pinched" seam design is fresh and contemporary. The entire Summer Collection can also be protected with an innovative protective exterior lining that we call "Smart". Smart allows you to protect the exterior cover of the bed, giving you the opportunity to easily take off the protective cover and wash it. Berto carries a wide collection of matching fabrics. Smart allows you to play with the many combinations and personalize your surroundings with imagination and elegance. Summer A, is available with a box spring container, now even easier to lift and zero foot print, or with an extra single bed below. 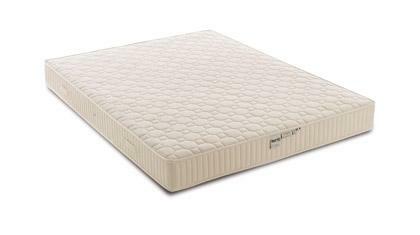 The Summer A bed is handmade by highly skilled upholsterers.